The talks about a list of 118 MPs who are said to have received money from Arjun Aloysius, an accused in the bond scam case, is a canard, there is no such list and this talk about the list if 118 is a false story just like the rumour about contraceptive pills says the Speaker Karu Jayasuriya. He said there is information regarding several who have had telephone conversations with Arjun Aloysius and he would present them to parliament soon. The Speaker said this at a discussion held in his official residence. The Executive Committee, the Central Committee and the All Ceylon Committee of the SLFP met at ‘Ape Gama’ complex today (3rd) and decided to appoint a new set of temporary office bearers to the party. Accordingly, Prof Rohana Luxman Piyadasa of Mass Communication, University Of Kelaniya has been appointed as the Party Secretary in place of Mr Duminda Dissanayaka who held the post until today. Mr Duminda Dissanayaka has been appointed as the National Organizer of the SLFP. Mr S.B. Dissanayaka has been appointed as the Treasurer while Parliamentarians Nimal Siripala de Silva, W.D.J. Seneviratna, Susil Premajayantha and Anura Priyadharsshana Yapa have been appointed as Senior Vice- Presidents. Meanwhile, The Executive Committee and the All Ceylon Committee of the SLFP have decided to appoint the retired President Mahinda Rajapaksa as a patron if he was willing. Former President Ms Chandrika Kumaratunga and former Prime Minister D.M. Jayaratna have been appointed as patrons. Parliamentarians Dr Sarath Amunugama, Mahinda Amaraweera, Dayasiri Jayasekera, Reginald Cooray, Piyasena Gamage and Chief Minister Shan Wijayalal de Silva have been appointed as Vice-Presidents. Mr Ranjith Siyambalapitiya and Ms Sumedha Jayasena have been appointed as Asst. Secretaries. The temporary office bearers have been appointed to carry out reorganizational work of the party. 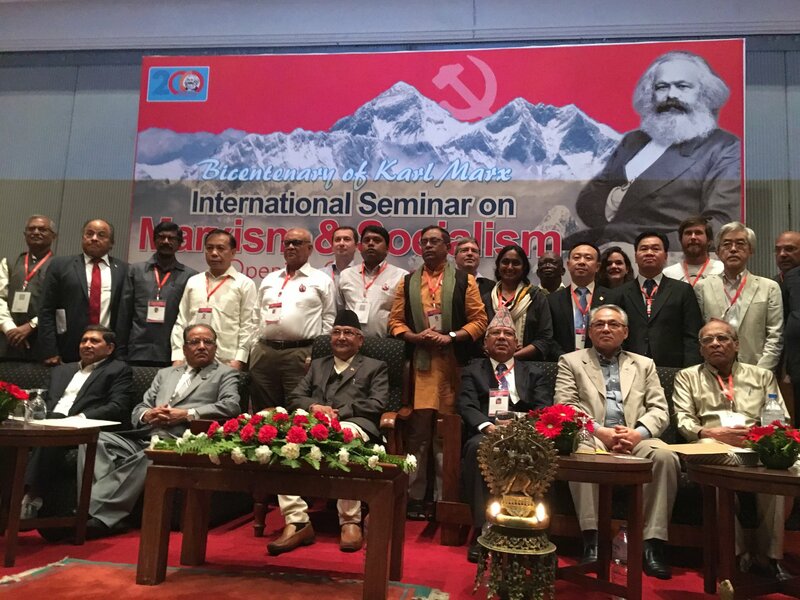 the General Secretary of the JVP Tilvin Silva, and Member of the Central Committee of the JVP Parliamentarian Dr Nalinda Jayatissa who are in Nepal on an invitation from the Nepal Communist Party participated in the programme to commemorate the 200th anniversary of Karl Marx’s birth held in Nepal. “The 20th amendment to the Constitution is to be implemented after the tenure of the present President. Then a general election should be held and then only a new president is elected from that parliament. Once the new Parliament is formed a new Prime Minister is elected from the parliament. He is the one who gets the powers proposed by the 20th amendment. Of course, there are some nitwits who have come to presumptions that Ranil will be the prime minister again. 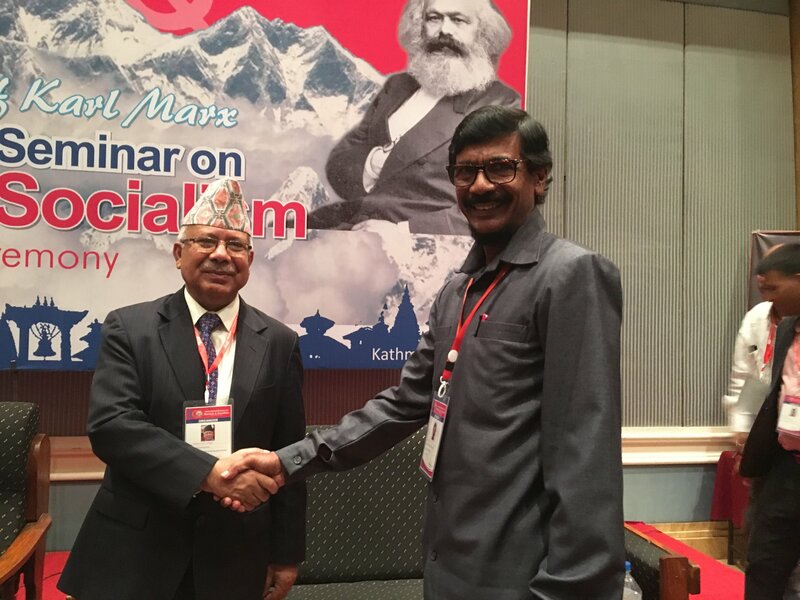 However, we do not have such views,” said the Member of the Political Bureau of the JVP Parliamentarian Sunil Handuneththi participating in an interview with a weekend newspaper. He said the despite the 20th amendment is not the solution for the socio-economic-political issues that exist in the country, it would be important to take the country towards civility and a better democratic environment. 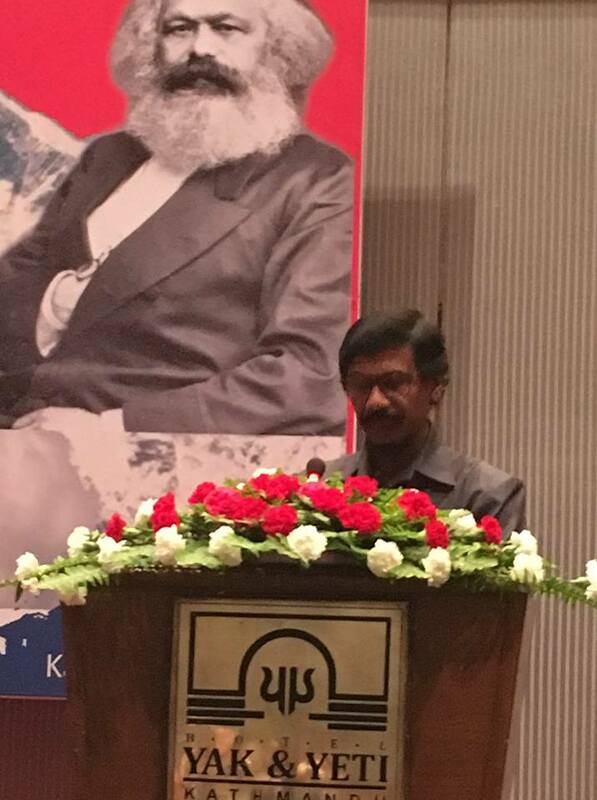 Mr Handunneththi said abolishing executive presidency is not a promise of the JVP but every president who came to power made it an important promise in their election campaigns. 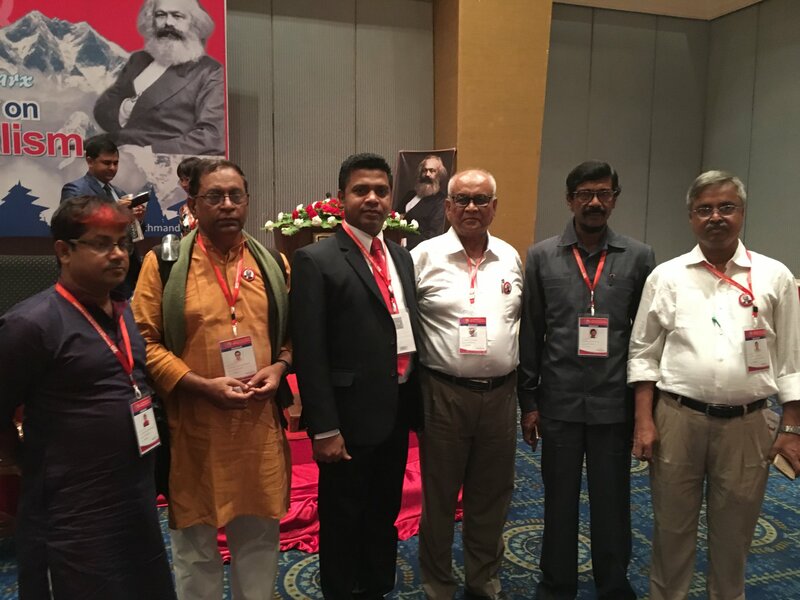 The JVP has presented the amendment to parliament as those who promised to abolish executive presidency have not fulfilled the promise after coming to power added Mr Handunneththi. The Union of Postal and Telecommunication Officers (UPTO) has announced it will engage in a two-day token strike action from midnight today (3rd). 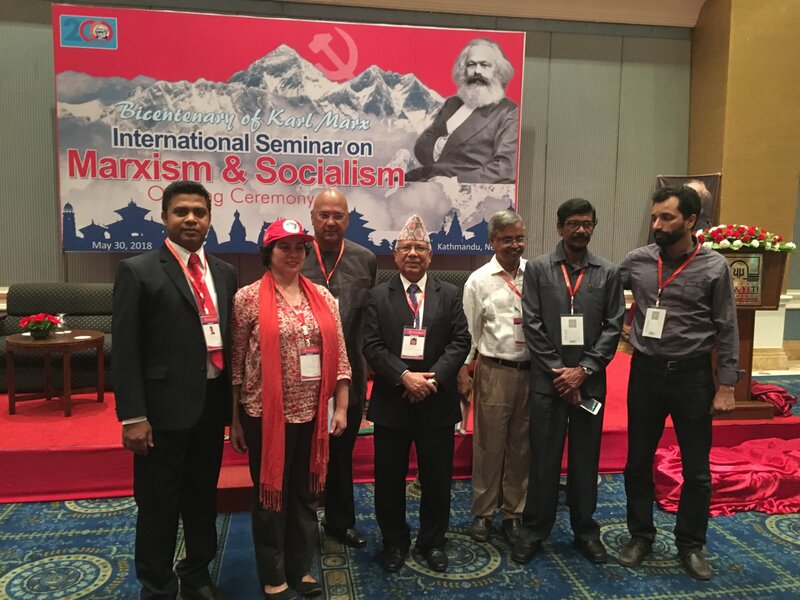 The decision for the action was taken based on issues that exist in the recruiting process and several other issues said the General Secretary of UPTO H.K. Kariyawasam.